Here's another short video I've just put together for Simon's Cat Ltd. in which Simon Tofield (the creator of the Simon's Cat cartoons) tells us all about his own real cats. We created a moving collage of Simon's drawings and photos to carry the story along. compositing/editing is done in Adobe After Effects. Once again, music and sound mix is by Russell Pay (a.k.a.'Shrooty'). Here's another short online film I've just put together for Simon's Cat Ltd. The awesomely- talented Simon Tofield talks us through his life story, his love of drawing and the growing success of his Simon's Cat cartoons. Simon tells us his story through his narration and his own drawings, this video includes clips from his animated films and examples of his childhood artwork too. The voice was recorded first, then edited down in Adobe Premiere. For the 'speed drawings' we screen-recorded Simon drawing into Adobe Flash. These recordings were then re-timed and edited in After effects. Camera moves and transitions were then used to build up the story. Last Friday, I had a quick scoot around the 3D Print Show. I'm not going to write so much of a review of this event as last year... 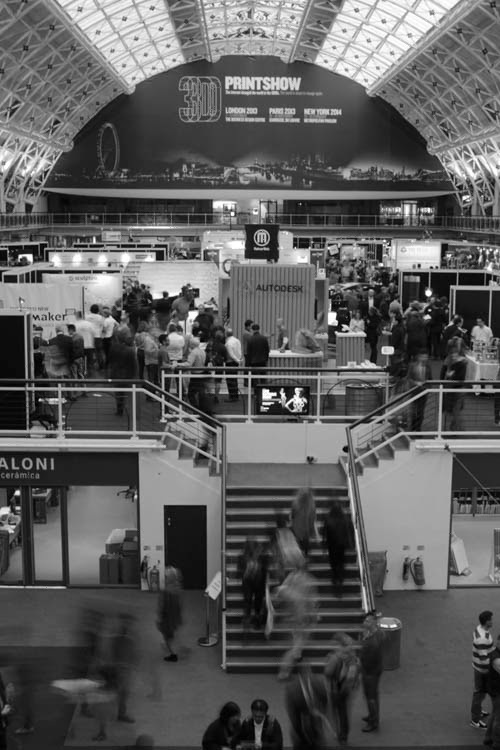 I only had an hour and a half at lunchtime to look around, but fortunately for me, this year's event was held at the Business Design Centre, a mere stone's throw from TANDEM's studio in Islington. 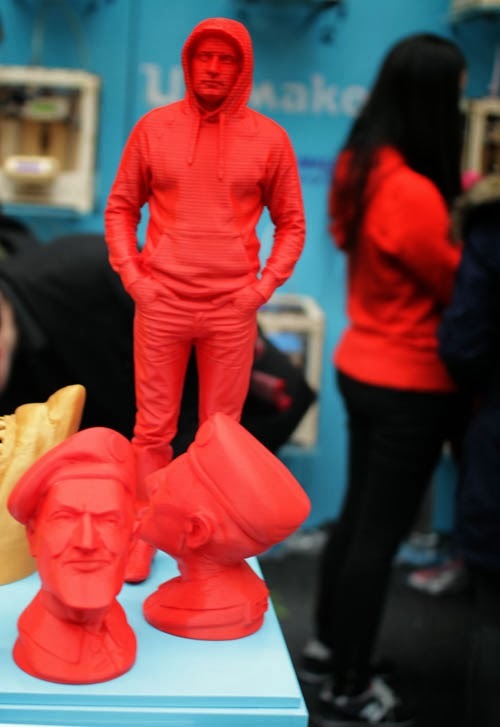 3D printing has been all over the news again this year, and the exhibits; printed objects and technologies on show have certainly moved on over the last 12 months too. One of the cooler things to see was a gallery of 3D printed objects made for the movie business. 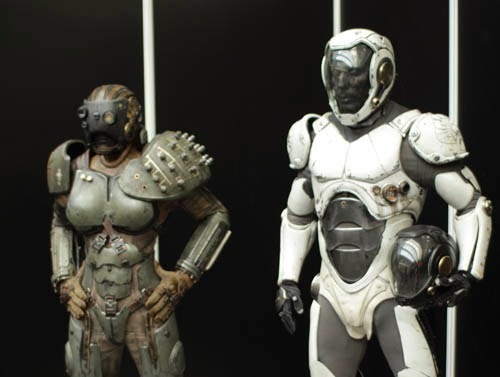 That's costume items for big Hollywood movies, Pacific Rim, Iron Man etc. and even Thor's hammer. The film people (in this case Legacy Effects) have been quick to embrace this technology, being ideal for one off, or small runs of high-detail custom manufacturing for props and costume elements etc. 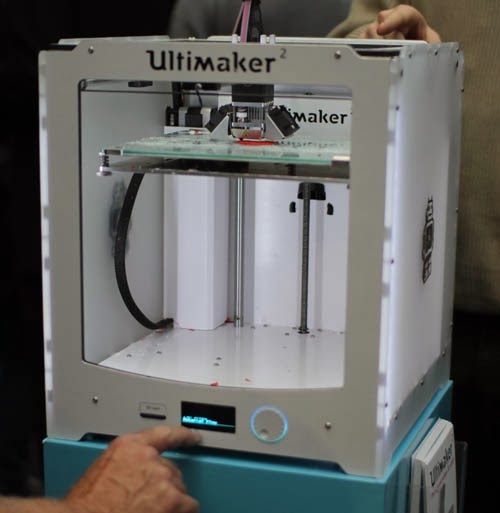 Another trend this year seems to have been ever-larger printers taking on larger scale projects. 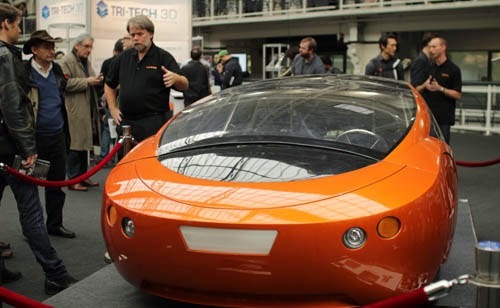 Here we see a prototype for the 3D printed 'Urbee 2' car project with its designer Jim Kor. 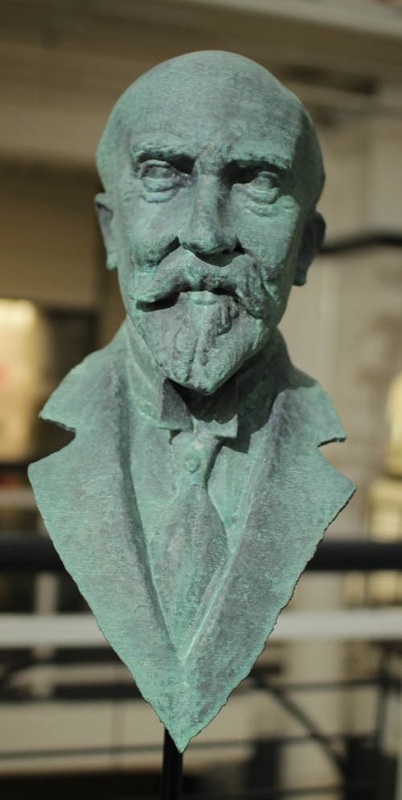 As well as the varied prototyping and commercial applications on show, there's a smattering of 3D printed art on display too, I especially liked this reproduction of a Parisian headstone sculpture, the bust of George Méliès. The original sculpture (Renato Carvillani, 1951) has been laser scanned in situ then reproduced as a 3D print by Cosmo Wenman.